Young Adelia Monteforte flees fascist Italy for America, where she is whisked away to the shore by her well-meaning aunt and uncle. Here, she meets and falls for Charlie Connally, the eldest of the four Irish-Catholic boys next door. But all hopes for a future together are soon throttled by the war and a tragedy that hits much closer to home. Grief-stricken, Addie flees—first to Washington and then to war-torn London—and finds a position at a prestigious newspaper, as well as a chance to redeem lost time, lost family…and lost love. But the past always nips at her heels, demanding to be reckoned with. And in a final, fateful choice, Addie discovers that the way home may be a path she never suspected. 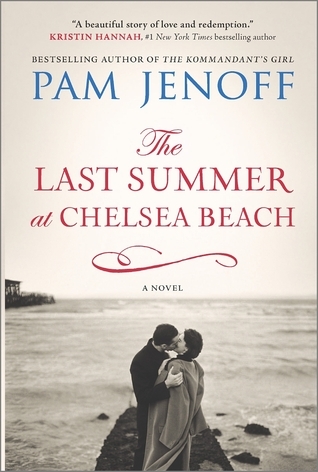 When I said that I was reading this book, a number of people told me how much they loved Pam Jenoff's books. I was a little ashamed to admit that this is the first of her novels that I've read. But, I can say now, that it definitely won't be the last. This book had a lot going for it with me from the get go. I love immigrant stories and World War II historical fiction. 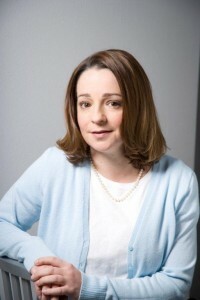 Addie is a strong female character who is working to make it on her own but is enamored by the big Irish family next door (at least during the summer). Jenoff delivers on all these points and then some. I really enjoyed Jenoff's voice. The story is told from Addie's point of view and she sounds like, well, like a young woman in the early 40's--not like an author from the early 21st century. I also really appreciated that Addie faced not only the obvious challenges like, oh, World War II but also some more subtle ones, such as gender equality in relationships. This book is all over the place, but I mean that in a good way. Addie travels from Italy to the United States and then to England and back, but the action of the only spans 4 years. I found it fascinating how much Addie's world changed in such a short time, but I did question how easily she was able to travel across the Atlantic at pretty much the spur of the moment during wartime. It shouldn't be a surprise that Addie is the most developed character, but Jenoff keeps the supporting cast from becoming to static. Each of the Connally brothers has a distinct personality, which helps to keep them straight at times. I also liked how Jenoff drew Addie's Aunt Bess. The impression the reader has of her is clearer (and fairer) than the one that Addie gives us. This was a perfect read at the perfect time for me. It was an intriguing read that kept my attention with a fast plot and tight writing, but it wasn't so heavy that it became a chore. I would definitely recommend this book and I know I'll be reading more by Pam Jenoff in the future. I received a copy of this book in return for an honest review. I received no other compensation for this pots. To read more about this book, check out some of the other stops on the book tour. The schedule can be found here. Thanks to TLC Book Tours, I have a copy of The Last Summer at Chelsea Beach by Pam Jenoff AND a Chelsea Beach Limited-Edition Beach Bag. The giveaway is open until 11:59pm on Monday, August 17th (Pacific Time) and is open to readers in the US and Canada. To enter, just fill out the Rafflecopter form.